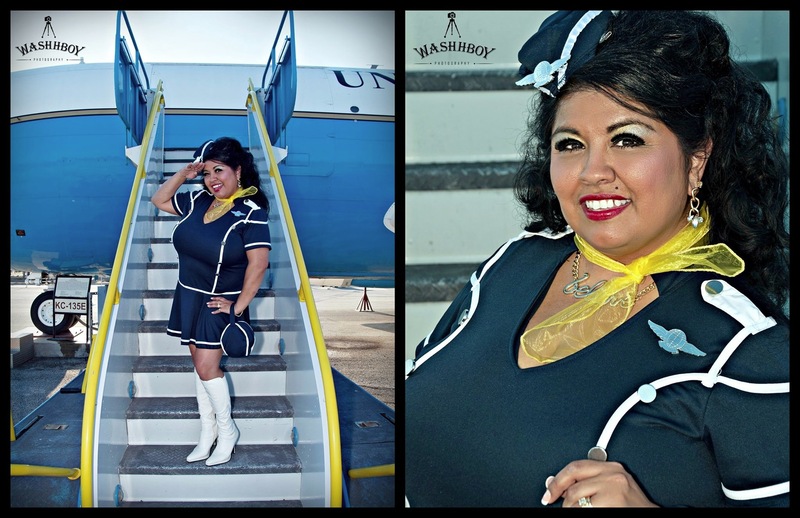 MUA: MUA: Make Up Artistry by: Creeping Beauty Inc.
Hello Beautiful models and fans of Style & Curve, Angelita Aronce Sorensen here with my weekly blog. Today I’m going to blog Beauty Colleges. Ok ladies, there are times when funds are tight and we shouldn’t spend the money on our favorite salons but we don’t want to give up getting our hair done or our pedicure or manicure or any of our pampering services. Don’t misunderstand, I’m not saying that our favorite salon or service isn’t worth it but there’s an option in case funds are simply just tight. In the image above, I had just gotten my roots retouched at the beauty college. After the Believe Airlines concept shoot I was a part of recently, having my hair teased, lots of product, etc., it’s not fun to have to wash all that out and comb out all the tangles myself. I went to one of our local beauty colleges and had my hair shampooed and combed out. Typically that service at my favorite salon can run about $15 to $20 and that’s just a shampoo. Going to a beauty college where the students are already working on the floor you can get the same service for a fraction of the cost. In this case, the fee to get a shampoo was only $3 by a student. She washed my hair and combed out the tangles and although it’s not my favorite salon, it took care of my needs for a fraction of the cost. Most beauty colleges offer hair, nail and aesthetician services such as facials, etc, and some even offer massage services. Even your favorite MUA, hair stylist and aesthetician was a student at one time. These students perform these services under the supervision of an instructor and they are graded on their performance. I love getting pampered and when funds are not an issue, I prefer to get pampered by a highly skilled professional, however, funds are not always plentiful and getting services at a reputable beauty college or school is a great option. I have a lot of gray hair and I like to keep my hair a jet black. My favorite salon charges a fee of about $75 for that service so often times I am unable to go get it done by an established professional so I’ll go the beauty college and spend about $20 for the same service but done by a student. If you’re nervous about getting a service done by a student, try a service that you can’t go wrong on like a shampoo and blow dry. You can also request a student that has a good reputation for providing a good haircut, creative style, manicure, pedicure, etc. Keep in mind, that these are students so with that being said, be patient, as they may take longer than your favorite professional. Set aside more time than you normally would, explain exactly what you want and communicate with the student. When funds are tight, and you don’t want to give up your favorite pampering service, again, try your local beauty college. Most of the beauty colleges also have a website and provide a list of services and hours of operation. Do some research; you will be amazed with the services that may be provided by your local beauty college. I’ve never had a bad experience when I’ve gone to the local beauty college here in my hometown. Remember, just because funds may be tight, doesn’t mean you have to give up your favorite pampering service. As always, don’t allow the negative people along the way bring you down and trust me; there will be negative people that will cross your path. Take control of your future, even if it means smashing through preconceived boundaries in this industry. Again, if there is a topic you’d like me to blog about, feel free to contact me. Until next week, stay positive!